From this tutorial you’ll learn more about advantages of Magic Button. First, navigate to Elementor editing page and click on Magic Button. Here, in the opened window click Home at the left side and then select the most suitable homepage. Hover on it and find two options: Insert and Clone to Library. 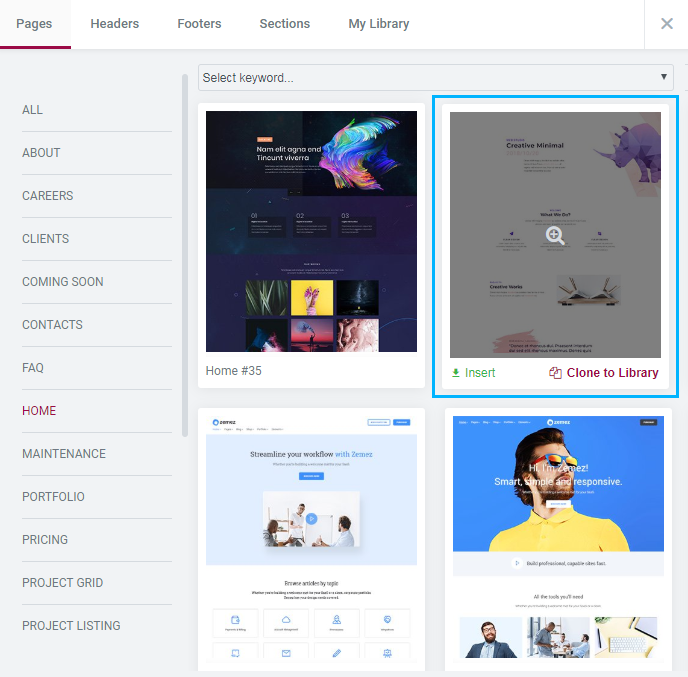 Clone to Library option allows to save the page or section you selected. You’ll be free to quickly find them and insert to a page right from the library. Insert option adds pre-made page or section to your page bypassing Library. After you inserted the module you are free to customize it. Let’s try to insert a section. 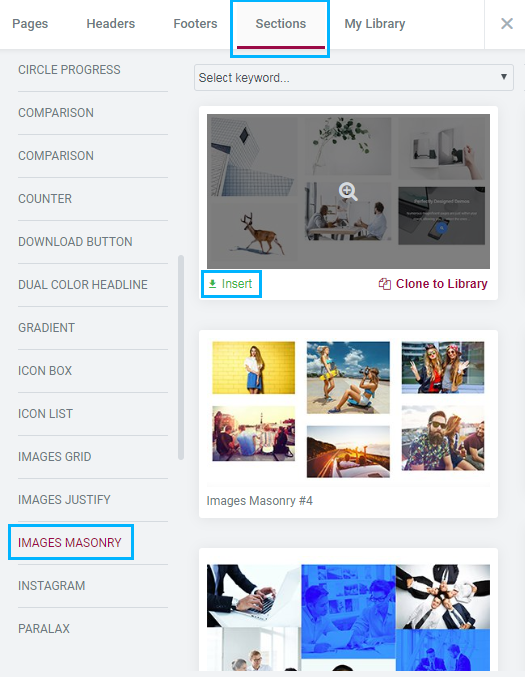 Click on Magic Button > Sections Tab > Images Masonry. Select the section suiting you the best, and click Insert option. Congrats! 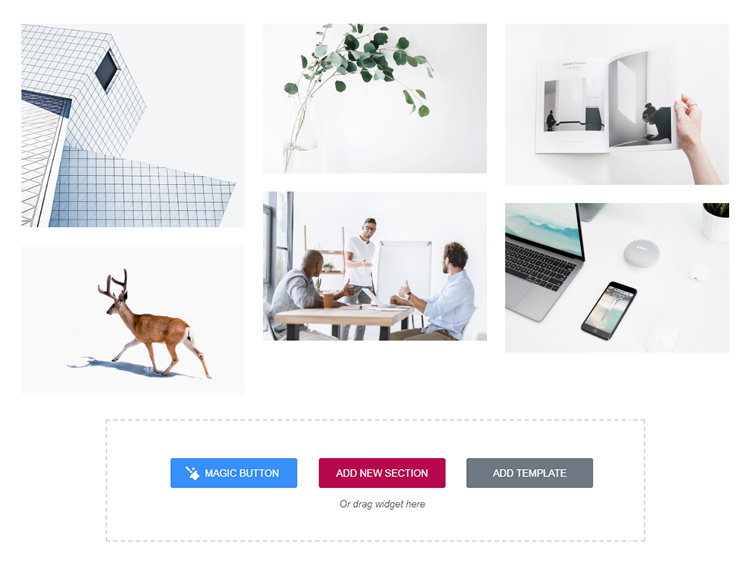 You successfully inserted Images Masonry pre-designed section.